Have you ever updated Wikipedia? Though the site has 400million readers, only 100,000 people volunteer to edit the site. 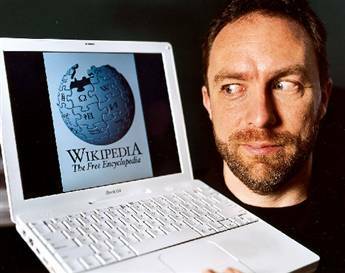 Jimmy Wales was interviewed on the BBC today as his creation, the online encyclopedia Wikipedia, hit its tenth year and one of the things he said was that he was trying to get more people involved in correcting and editing the stories on there. They’re working on some simple What You See Is What You Get editing tools which should make it a lot easier. But tell us Shiny readers, have you edited Wikipedia? Have you been put off editing Wikipedia..?